I don’t know about you, but although I find the Exchange Administration Console OK for basic tasks, you can’t beat Powershell for Exchange (or AD, Hyper-V, SQL etc) Administration. 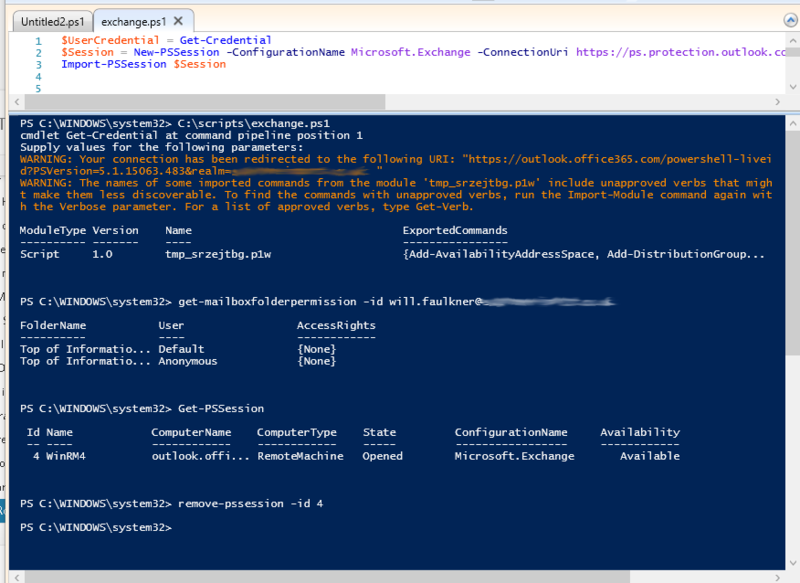 Following a Cloud migration from on-premise Exchange recently, I had a few issues connecting to the remote Microsoft Hosted Exchange Server(s) through Powershell (from my Windows 10 client). When finished, don’t forget to close your PSSession with Remove-PSSession (get-pssession for the id).